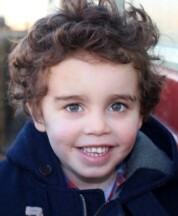 Interests - Henry really loves the seaside, animals, The Jungle Book, The Good Dinosaur, cars, going out on the back of the bike, Toy Story, hide and seek and treasure hunts. Really into paw patrol. 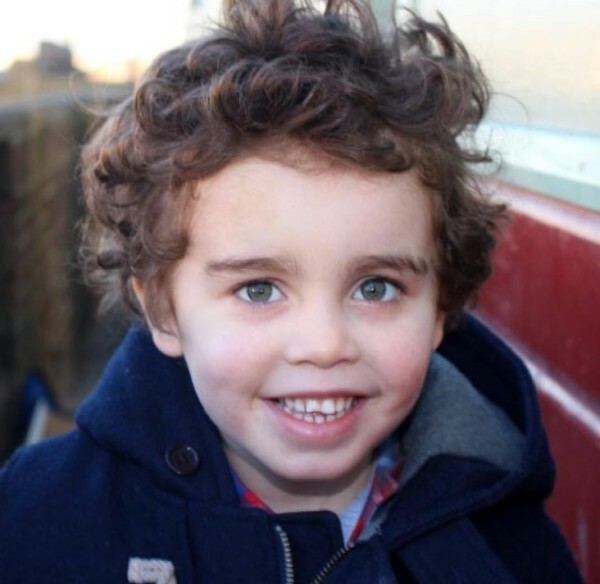 Henry was diagnosed with a primary immune deficiency in December 2014, having spent a lengthy ten weeks in our local hospital, with an infection that they could not get on top of. Henry’s first problems started to appear when he was a small baby and we could not keep on top of oral thrush, which proved very hard to treat. He then went on to have more serious infections and had multiple bouts of pneumonia requiring high dependency, kidney infection with sepsis and orbital cellulitis with sepsis. Every virus he had would leave him back in high dependency, and by the time he was two he had had over 20 hospital admissions. In November 2014 we were admitted with a chest infection,then a cannula in his foot became infected and spread to the bone. We were discharged home on intravenous antibiotics for 16 weeks, which we were trained to give. This was a lengthy 13 hours a day IV regime. At this point he was started on immunoglobulin therapy, which we were trained to deliver once a week at home. Henry then stabilised for almost a year, but was admitted on New Year’s day 2016 with another infection, which took six weeks of IVs to treat. As quickly as we were home we were back in again with another infection for another four weeks. Finally home in March, we spent 12 days at home before being readmitted with a non-blanching rash, which turned out to be swine flu! Henry is on daily medications and weekly infusions to keep infections at bay, but unfortunately this isn’t enough to keep him infection free. He is not allowed to go to the park, forest areas, sand pits, muddy areas and farms due to the infection risk. He is due to start school in September. Henry is incredibly resilient and although he hates all the needles, bloods and NG tubes that are thrown at him, we try our best to make medical interventions a positive experience. We set up treasure hunts around the hospital, have picnics where we invite friends and family to join us when he is admitted, race remote control cars and make obstacle courses! Henry is back in hospital, in high dependency. He had been out of hospital for less than 2 weeks and now has sepsis. Special thanks to Dottie the Dalmatian which has literally not left his side!! He adores his new puppy and the updates from Clare! Thank you. He’s in hospital at the moment and substituted his usual soft toy for his Dalmatian pup! Thank you to Dylan and Amelie who kept a dinosaur party bag back for Henry and sent it to us! That made his day! Sybil and Megan for their amazing colouring, fantastic artwork! Thank you to the Discovery team for their thoughtful packages, they are brilliant. Henry is currently in hospital in high dependency unit. We had a really good 6 weeks and thought we were on for a long stretch, we spoke too soon. He remains stable and upbeat in true Henry style. They changed around with his medication so hopefully once his body adjusts to the increase in drugs we might see another good spell!! Thank you to everyone who is volunteering at postpals and for those that send post. It’s a fantastic organisation which makes Henry smile every time he gets post! Henry is doing well. He has an appointment at Great Ormond Street on Wednesday, so a nice day trip to London! Thank you to Carol for a beautifully made quilt cover, Rebecca for scrapbook, Abigail for writing 3 times, Chislehurst School for Girls and Bethany for the cards. Our first month has been amazing, people have been so generous. Henry spent a few days in hospital last week and a night in high dependency, due to breathing complications following a virus.